Please consider paying just £3 a day at the railway station car park to prevent this happening! It’s cheaper and safer to do so, or you could come home to a smashed car. 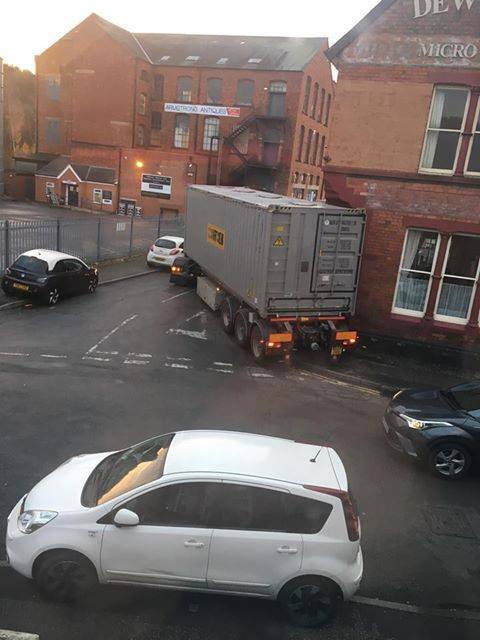 I’m a resident there and sometimes I have to wait to get off my drive due to a lorry being stuck like this.